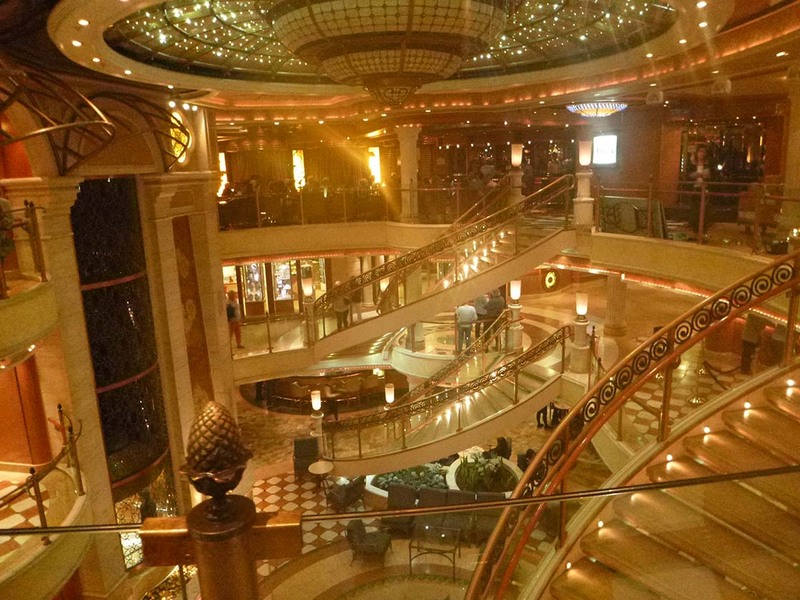 The ship’s decor is beautiful. The design has a heavy Italian influence with lots of gold. I’d guess that the average age of guests on this particular cruise was 70-75 and I bet I was about the only person who had to go back to work when the cruise was over! Passengers on this trip were serious cruisers, too — most have taken 10+ cruises to everywhere under the sun and are very well traveled! Only met one first-time cruiser during the whole trip. There’s a wide variety of onboard entertainment – one of the things I love best about Princess cruise lines – including professional Tango dancers (wow! ), a ventriloquist, a comedian, singers — including a semi-finalist from American Idol, a magician, singing and dancing production shows, Movies Under the Stars (recent movies shown nightly on the 15th deck; unfortunately, it was too cold most of the trip to watch them, even bundled up in the blankets provided! ), and indoor movies every afternoon. There are lots of fun onboard activities – free Zumba classes, line dancing classes, a paper plane contest, an egg drop from the 3rd floor atrium, informational lectures (about the destinations and general cybersecurity tips), bingo, arts and crafts, for-fee yoga and spinning classes, art auctions, a style show, digital electronics classes and more. A seasonal event we got to witness was the Valentines Day balloon drop. Hundreds of pink and red balloons were suspended by a net over the central atrium all day on Feb. 14, and in the evening, they were released with great fanfare to float dramatically to the floor below. An onboard book club is available; interested passengers can check a copy of the pre-selected book out from the ship’s library, then meet at the end of the cruise to discuss it. A free phone app for ship activities and info is available. This can be used in place of or in addition to the daily printed Princess Patter activities list. 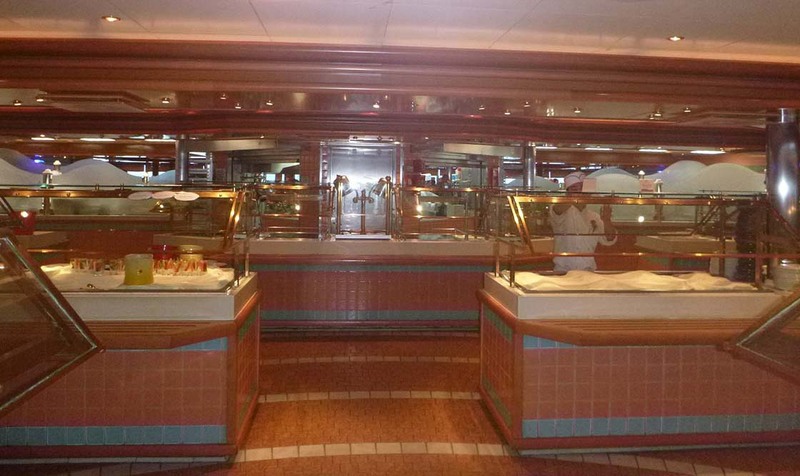 Food in the formal dining room is good, but the menu doesn’t include steak or beef every night, which is a change from previous cruises — and it disappointed me. Food in the informal dining room is so-so. The layout of the informal dining room’s cafeteria is absolutely horrible. All the food is displayed in a ridiculously small area and must be accessed from a single buffet line; a much larger space and separate buffet stations for various food categories would be a huge improvement. The line moves at a snail’s pace, with people hopping in and out of it randomly and people going both directions at once. Choosing food there is very chaotic! A “hidden” second cafeteria line located a short distance away — and generally open only for breakfast — eliminates having to use the super-crammed, slow informal food line described above. Tip: find it and use it! The ship has a number of self-service laundromats, which is great for a long trip. However, the machines in them don’t all work — causing confusion and frustration, and the vending machine selling small packets of detergent is horribly designed; every single purchase requires the user to insert a stick-like object to pry the box off of a shelf it gets stuck on inside! Shore excursions are varied and interesting. 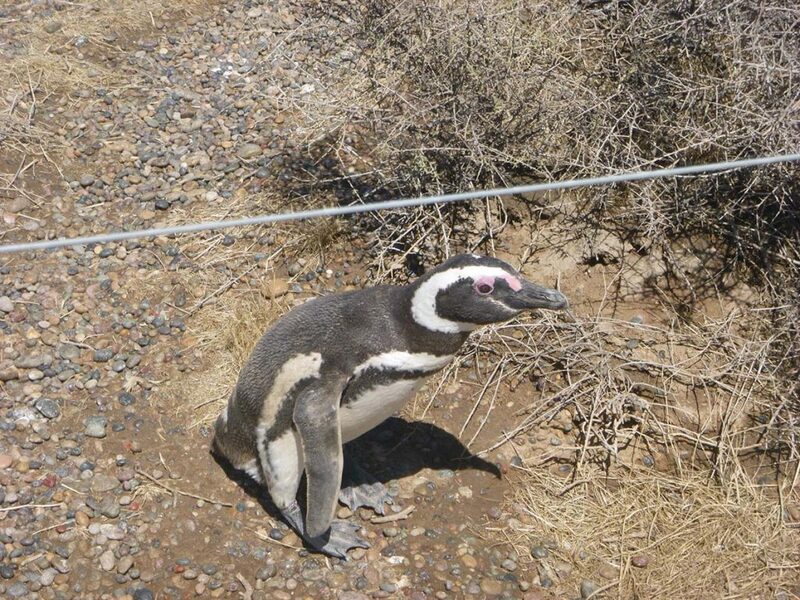 Since this trip wasn’t a “beach cruise” like trips to the Caribbean and Mediterranean, the shore excursions were unique and included tours to ranches and penguin rookeries in addition to guided bus tours of major cities. When the weather is warm and you’re returning from a shore excursion, a crew member waits outside the ship to hand you an icy cold towel. It’s heavenly. The most interesting — and expensive! — shore excursion on this cruise is a one-day helicopter trip to Antarctica, which costs $3,500! We met two people who’d signed up for it, but they didn’t get to go due to inclement weather. They ended up going to a nature preserve in South America instead, but were only receiving a partial refund since a tour guide was flown over from Antarctica before the trip was determined to be a “no go” and that person and her transportation had to be covered. $10 a day drink packages include unlimited sodas, milkshakes, hot chocolate, juice, and non-alcoholic cocktails. (Bottled water is an additional fee.) 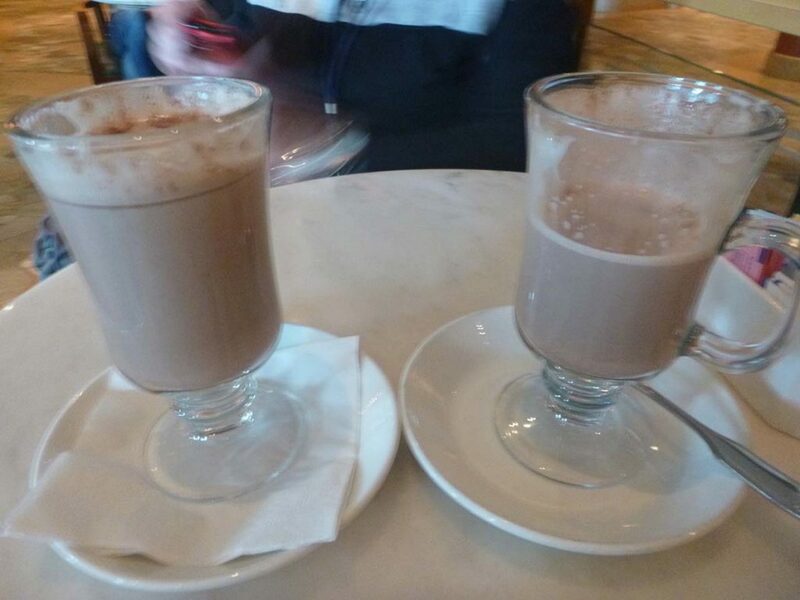 This was the first cruise I ever took where hot chocolate hit the spot because the weather was so cool! A $52/day all-inclusive liquor drink package is also available. There aren’t enough electrical outlets in the cabins! 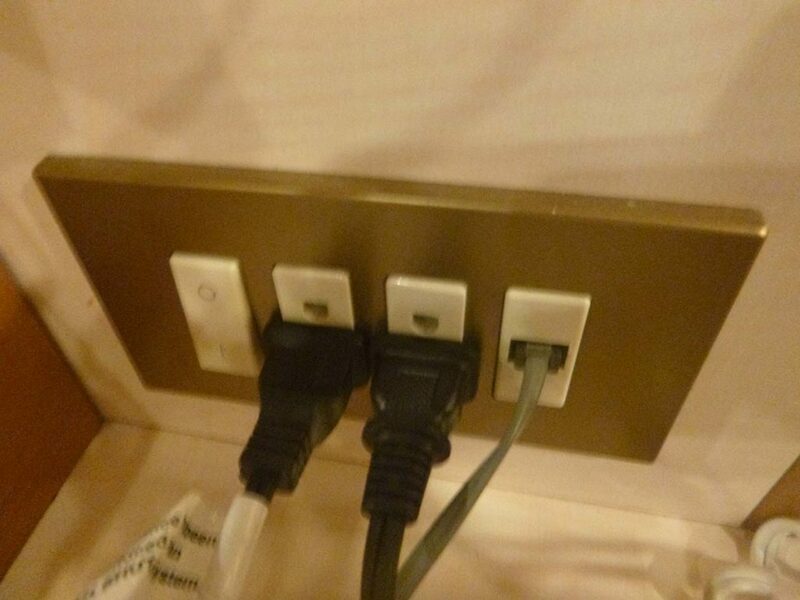 The two side-by-side outlets near the vanity are so close together that when you charge a larger item — like a camera battery – you can’t fit anything into the second outlet at the same time, resulting in a single usable outlet. Plenty of onboard photos are available; you can buy the entire package of all your photos ($199) or buy digital photo files for $10 — delivered on a cute ship-shaped flash drive — or 5 x 7 prints for $15 each. The ship also sells individual stock photos from each port for $1.99 each or you can buy all the files (100+) on a CD for $29.99. Video packages are also available ($69.99). 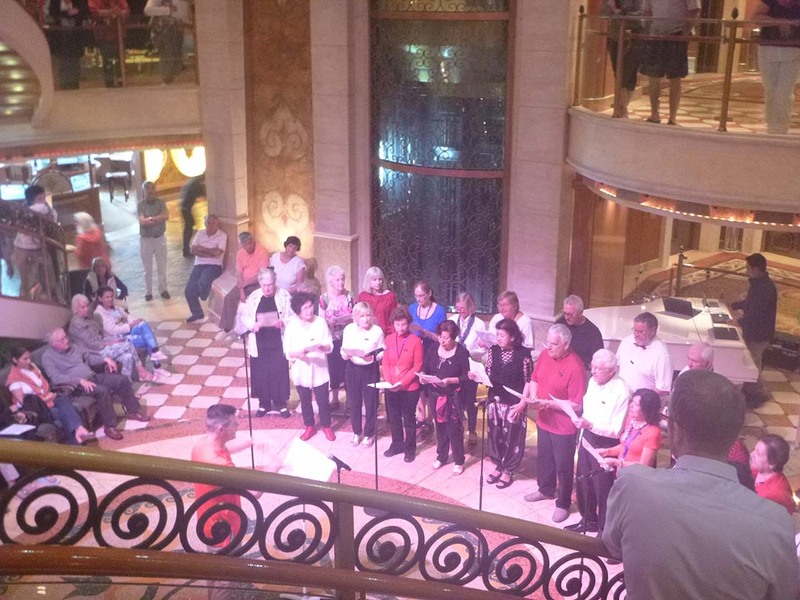 The ship holds more than 3,000 passengers — and guests on our cruise came from 140 countries! Most passengers were from the U.S., South America, Canada and New Zealand. All announcements were made in English, then repeated in Spanish. 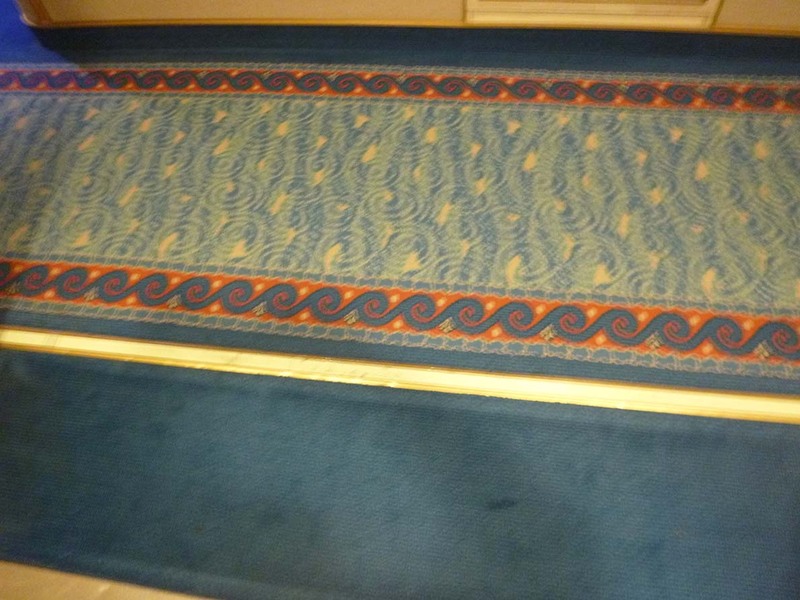 We learned a great tip to tell odd-numbered rooms from even-numbered rooms when you come up or down the steps or elevator to go to your stateroom; the carpet design is slightly different on each side of the ship. One side has a red stripe incorporated into the design and the other side doesn’t, so all you have to do is remember whether the side your cabin is on has the red in the pattern or not. 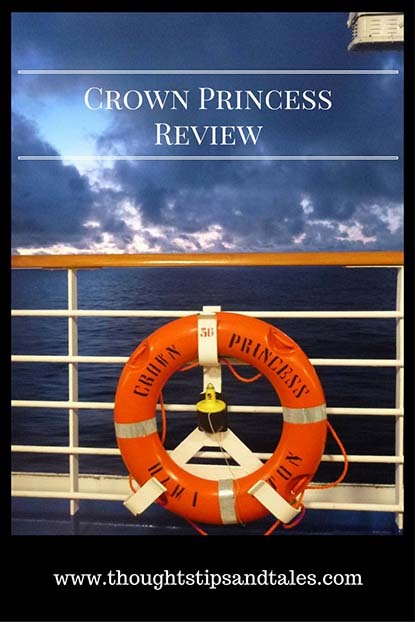 This entry was posted in cruising, Princess cruise, travel, vacation and tagged Crown Princess review, princess cruise, South America, South American cruise, travel, vacation. Bookmark the permalink. Even with some of the quirks, it sounded like a nice trip. Glad you had a great time! I had to laugh when you said you were the only person who probably went back to work when it was over lol. Too funny. It was great! And I was a “young chick” on that ship! That looks really pretty. 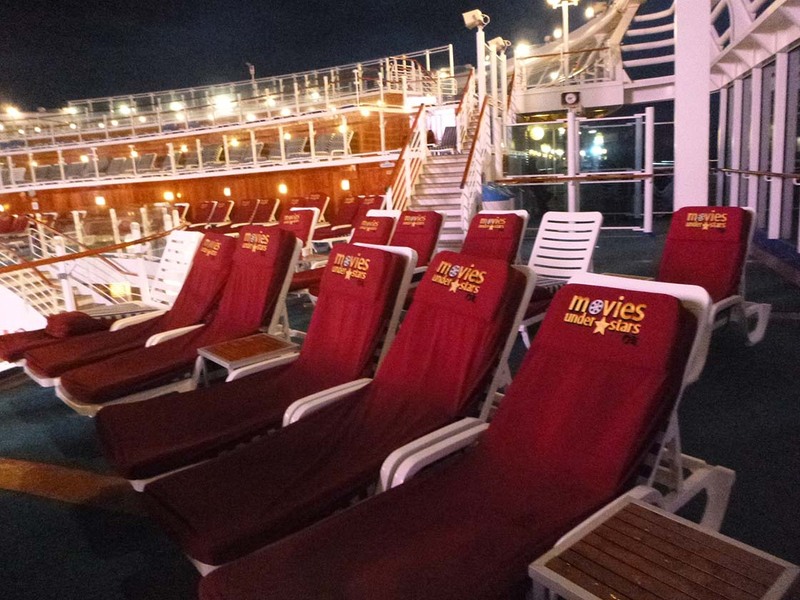 I like the way the chairs are set out for the movies under the stars. Can’t wait to hear more about it! Hi Elisa — It was great. Like the penguins and the glaciers the best!